Beautiful 6.67 acres in super location in the country but close to all city amenities. 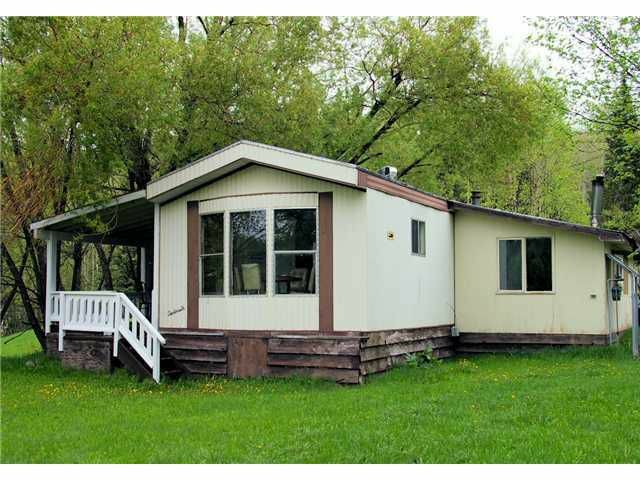 Build your dream home on a private location on this lovely treed property while you live very inexpensively in the existing very nice 3 bedroom mobile with its many updates and efficient wood stove for heating. Property comes with several out buildings including root cellar, chicken coop, garage and carports. Driveway currently shared with adjacent property (by registered easement) but plenty of frontage room to build own private driveway, if desired.